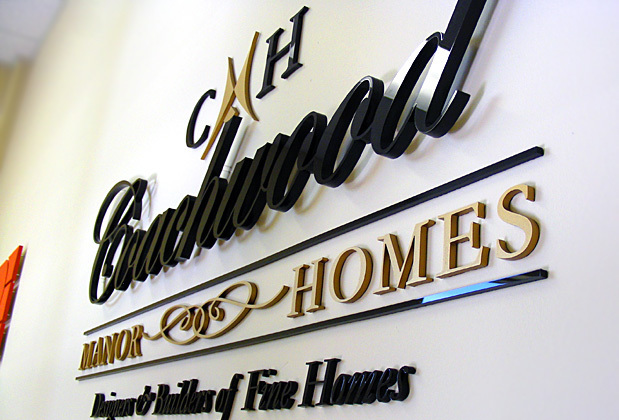 Custom Office wall sign, made of 1/2" and 1/4" acrylics base with decorative faces - returns painted to match the faces. 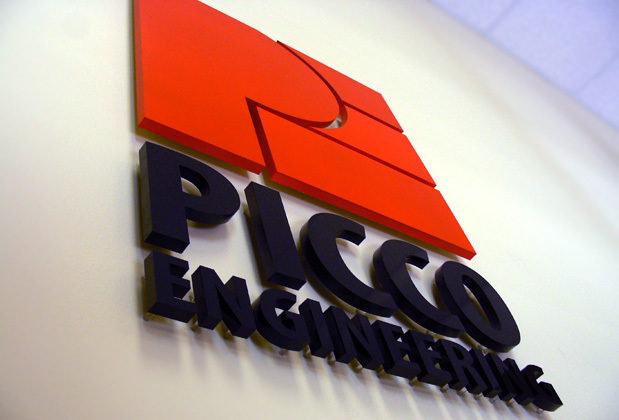 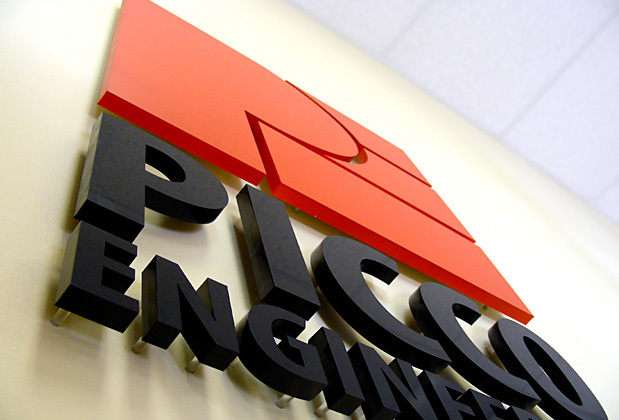 Customer - Picco Engineering. 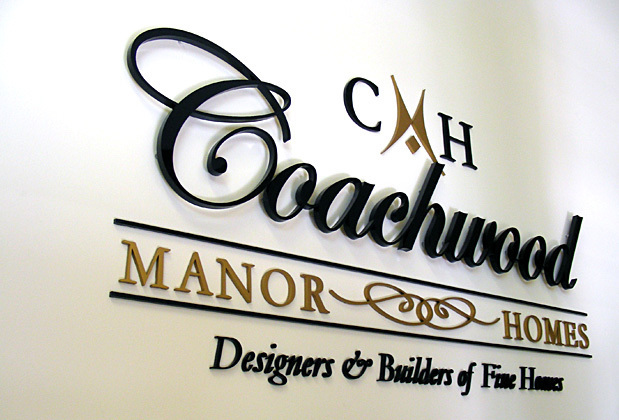 Overall dimensions 18" x 18" and 60" x 24 for Coachwood.